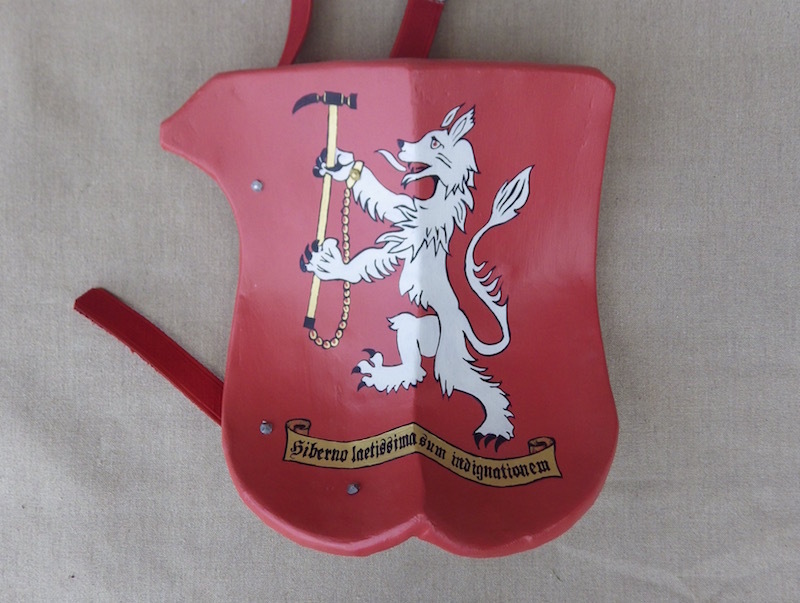 This is a German style jousting shield based heavily on existing pieces, both in form and mainly in construction. 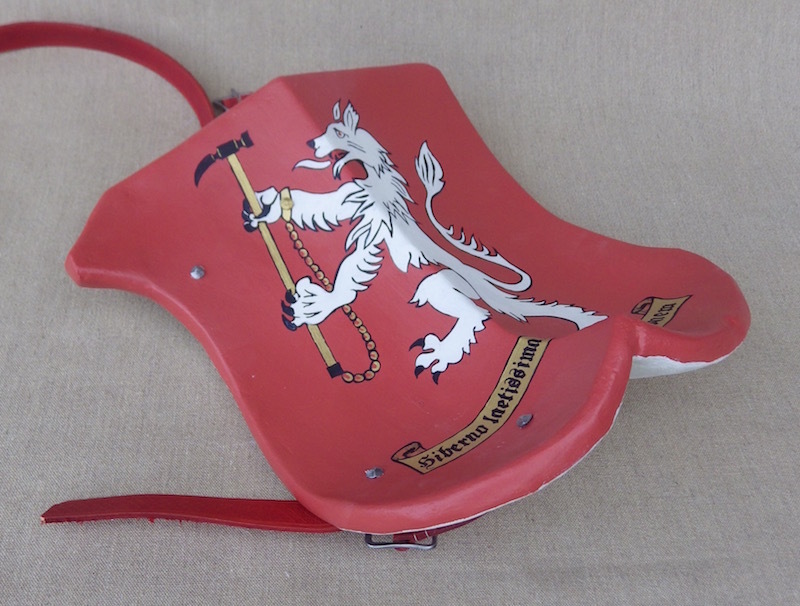 A curved backing plate is formed into this rather distinctive 'bum' shape as my children call it, which actually serves to seat the shield well on the arm and also to prevent the lance from skidding downward and catching the riders groin between the lance and the cantle, which would smart. 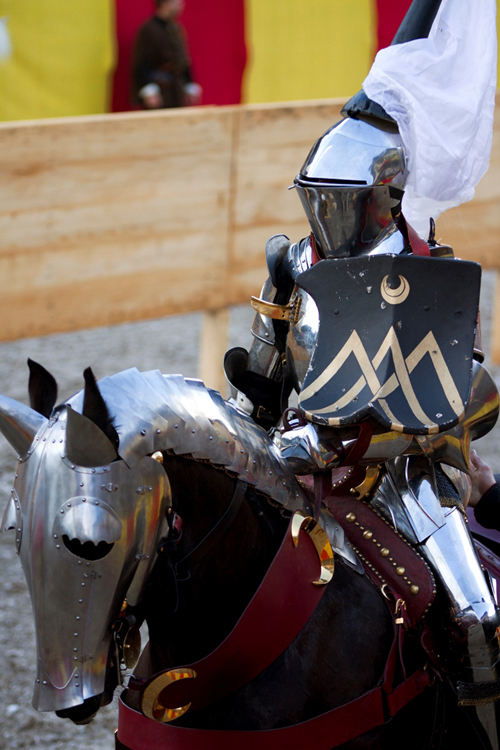 To also catch the lance and stop it skidding off where you don't want it, the face of the shield must be soft enough for the lance to bite, but tough enough to not get ripped apart. Simple planked construction would end up with great splinters and chunks getting ripped out so these shields are constructed differently. A couple of hundred ash tiles are fitted and bonded to the former so that they are set with the end grain facing out, much like a butchers block. This tiled arrangement means that cracks don't tend to spread and the end grain means that it will take a hit, but not splinter out. The next stage is to sand down the tiles so that the nice smooth forms are returned and then the front face has linen canvas bonded on, then the rear and the whole lot gessoed. The design is of a wolf argent, but in the absence of finding decent period artwork I redesigned the clip art we could find to make it a bit more suitable and painted it up. 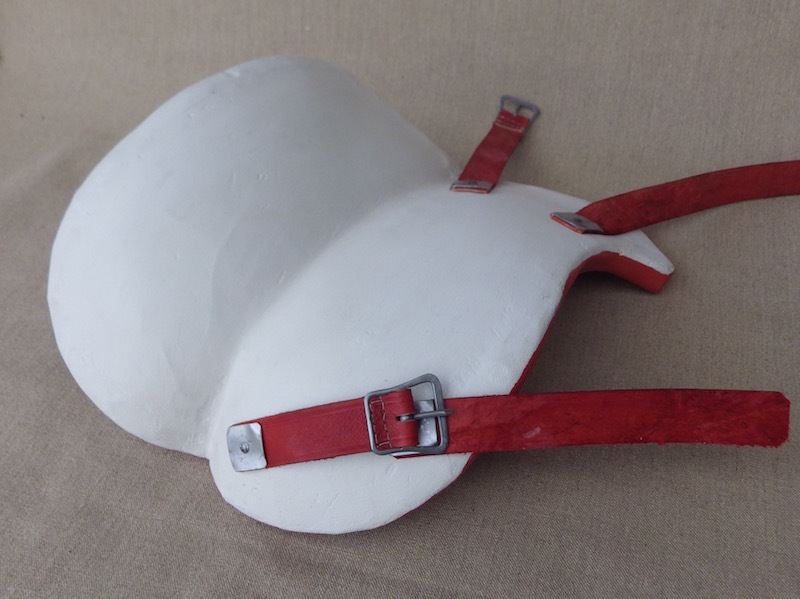 The harness positions were given by Toby Capwell for whom I made the first one of these and were the result of a few days of trying and adjusting - thank you Toby. 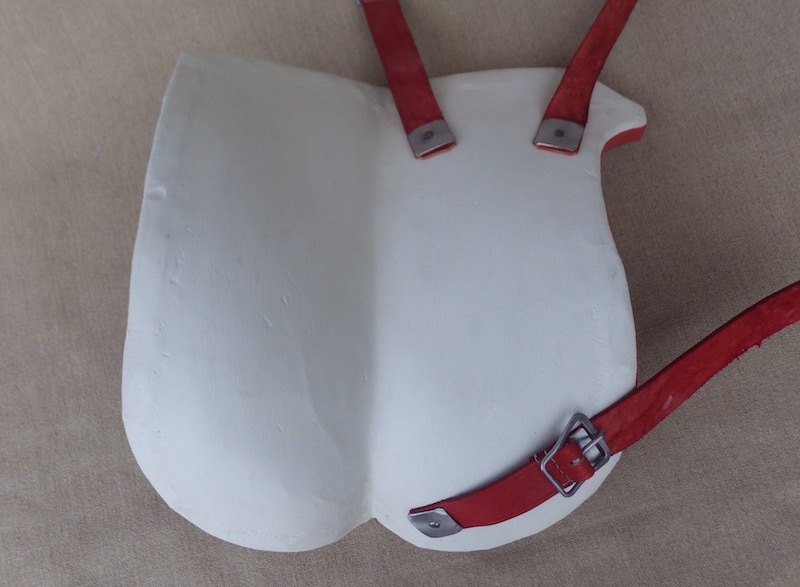 The straps are embossed veg tan and and the buckles are hand made in iron. I hope you like it and any questions, please ask away. I have also included a picture of Toby looking rather fine with the first of these shields. Do show its pictures after it has been completed.